We are offering Neem Antisaptic Facial Kit to our valued customers. Neem Antisaptic Facial Kit is a five product kit inclusive of Pack, Cream, Gel, Peeling Scrub and Neem Purifier. The blend of these five products in single Neem Antisaptic Facial Kit offers our client with a complete skin treatment. 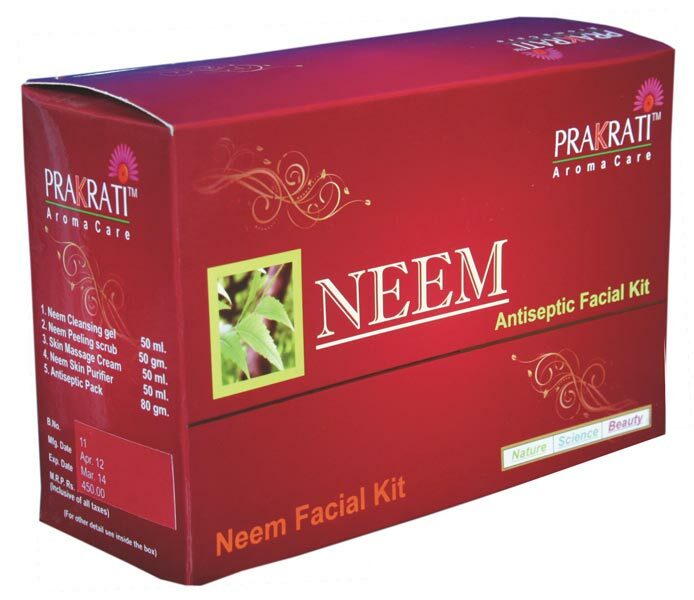 Neem Antisaptic Facial Kit is available in two sizes name regular and eco size. Neem Antisaptic Facial Kit has anti-bacterial property of neem and antiseptic property of turmeric to cure acne and other skin infections. Neem Antisaptic Facial Kit also possesses excellent healing property which can be applied with simple six steps during the facial treatment. Neem Antisaptic Facial Kit is frequently used in beauty parlor and skin clinic. If you want your skin pimple free with no excessive oil secretion, then Neem Antisaptic Facial Kit is the best remedy.